Walmart follows strategies that maximize shareholder value. It delivers strong and efficient growth. The company started issuing stocks in 1972 and doing well over the years. You can directly invest in Walmart stock through its transfer agent Computershare or through a brokerage firm. Walmart stock is traded on New York Stock Exchange, NYSE under the ticker symbol WMT and trade it like other publically traded shares. 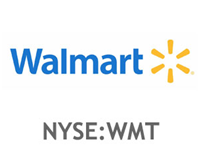 It is very simple to purchase Walmart share online; you just need to order a number of shares you want to buy in WMT. Usually, when you are to invest money in stock, it is a good practice that you do some research work about company’s performance and future predictions. If you don’t have a brokerage account, you can open a new account with an online broker. If you already have an account, make sure you have enough funds in it. Or you can transfer funds in it through electronic fund transfer or a check. You do home work and you can buy Walmart shares quickly through an online brokerage firm or through computer share. You can also schedule the trade with brokerage firm by filling an online order form for share purchase when it hits the specified price. Before investing in Walmart Stocks, know all about it. Publicly traded companies are required to publish the annual report as per guidelines of the federal government. These reports highlight annual performance to shareholders and are a primary source of information to investors as it includes analysis of the company finances. It also includes vision; mission and goal of the company which helps investors understand the company, sectors, management views, projected areas of rising and decline, the summary of shareholders equity, assets, liability and total debt from balance sheet over 5 to 7 years time line. The report also includes a special section on the historical performance of share price, share holding pattern, split of shares, pledging of shares by promoters, bonus shares distributed etc. A thoughtful review and analysis can provide a good insight to take a decision regarding investing in company’s shares. Directly Invest in WMT Stock: Brokerage firm does make in-depth investment analysis and evaluate performance regarding shares and stocks and can be very helpful to you make investments. Most of the brokerage firms do have financial planners and offer services by taking some fees. They discuss and help you understand the risk profile and guide you on which companies stock purchases you can consider to get a good gain, how much risk you can run and how it fits with your investment portfolio. There are many reliable online websites which show you stock prices, performances of the companies, expected growth etc which help you make right decisions. You do need to do some research yourself. If you want to know more about Computershare's direct Walmart stock purchase plan, you can contact Computershare globally at 1-800-438-6278. You can also visit www.computershare.com/walmart. Is investing in Walmart stock a good idea or not?